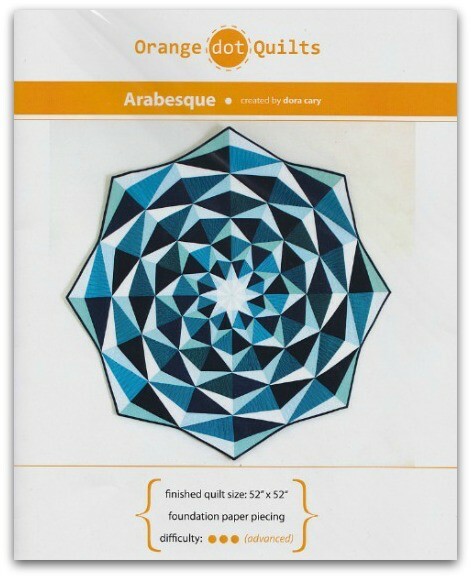 The pattern contains the information needed to help you replicate the Arabesque quilt. 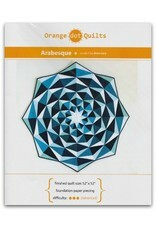 It includes an option to create a square quilt, a complete set of FPP (foundation paper piecing) sheets, color variations and a Color Me page to create your own color combination and unique design within this pattern. 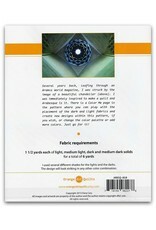 Additional sets of FPP templates are available in the shop. are wrapped in a protective crystal clear poly bags with hang hole and external adhesive on outside of the bag for easy removal and re-insertion of the contents. 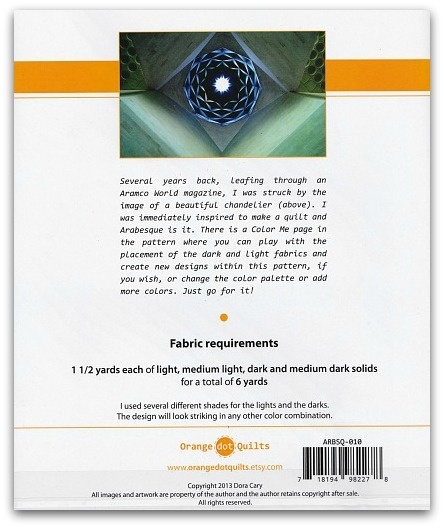 Dimensions of folded pattern: 8 1/2" x 11"